We have absolutely insane number of accounts. Every second website requires username and password and although usernames may be the same, and frequently they are, passwords should be different, especially the ones used for online wallets. But are you able to remember login details of 3 forum accounts, 4 e-mail accounts, 5 social site accounts and all other accounts you have on the internet? Well... I certainly am not. So I've made a system to store passwords on a keychain. 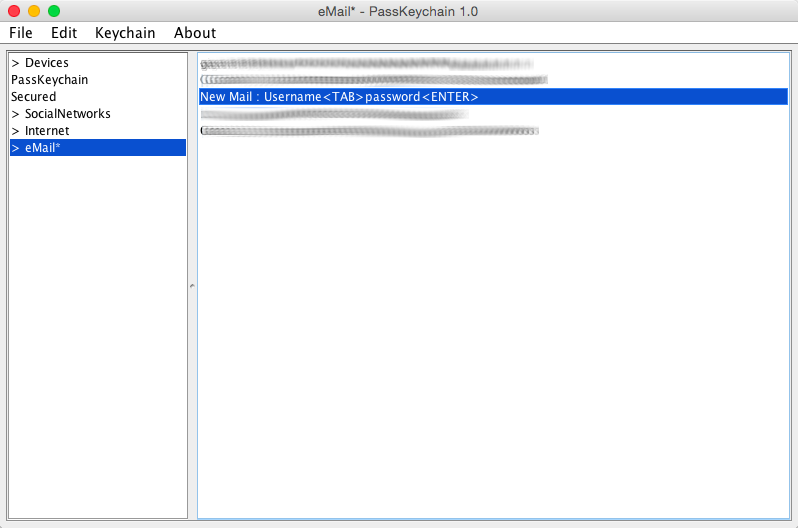 With a JAVA application I can create encrypted (AES) lists of passwords, which I can then write to this PassKeychain device through USB. And when I need a password that is stored in the keychain, I just stick it in a computer and press appropriatly the only button on the device. 1 click means first password, 2 clicks means second and so on. As you may guess, the number of passwords is limited to about 5~6, because it's quite difficult to press the button more times than that. Here is an example in which I use this device to unlock my computer and log into my Facebook account. I press the button once (password to my computer) and then five times (password to my Facebook account). PassKeychain has Attiny85 inside and it uses V-USB library. 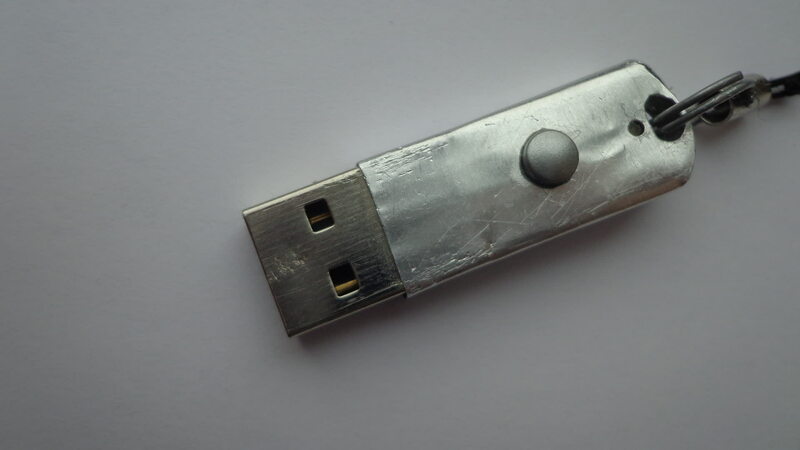 It connects to a computer as HID device, as a common USB external keyboard or as a special HID device with a special USB report descriptor depending on whether you want to use the PassKeychain or manage it through the JAVA application. The JAVA application communicates with the device through hid4java library. JAVA application, source code, schematic of the device, firmware of the device... Everything is in here.